Good morning and welcome back. 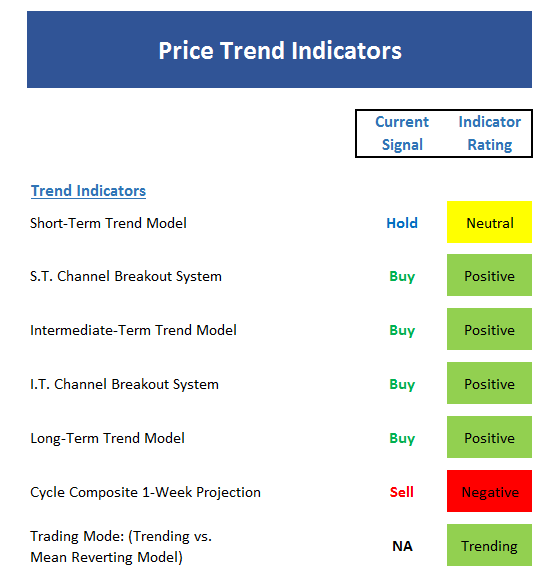 Since it's Monday, let's get right to our weekly review of the state of the market and our major market indicators/models. 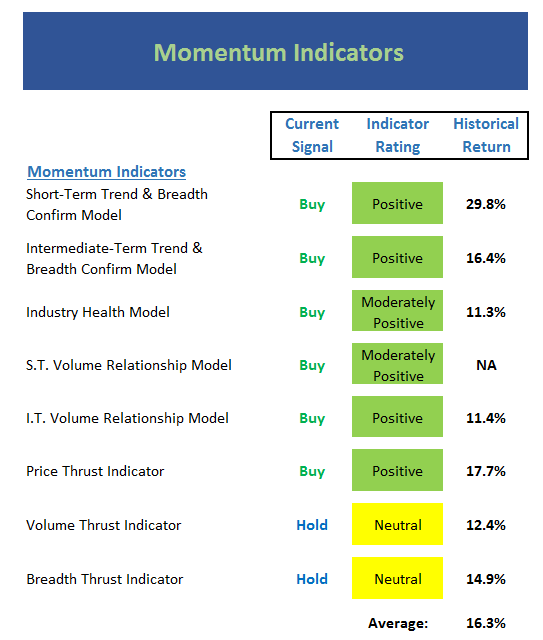 Two of our three Trading Mode models call this a "trending environment"
One of our long-term sentiment models (not shown on this board) is very close to a sell, which would be the first signal since mid-2013. One of the components within the Inflation model upticked into the "moderate inflation expectations" mode last week - but only by a smidge. Key is to recognize that inflation expectations are rising a bit. The current focus is on the Fed and the dollar. The worry is that the economy isn't strong enough to handle multiple rate hikes going into 2017. So, with the Fed's Jackson Hole Symposium happening this week (Yellen speaks on Friday) traders are likely to hang on every word. 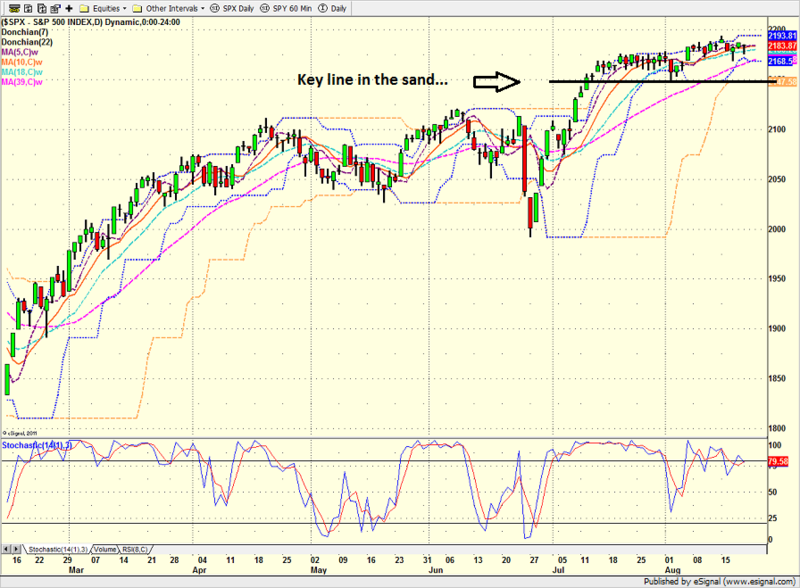 From an objective, modeling perspective, here's my take: The trend is up. 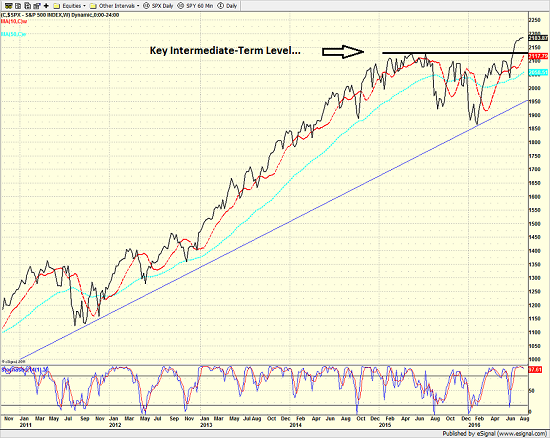 Market momentum has stalled. 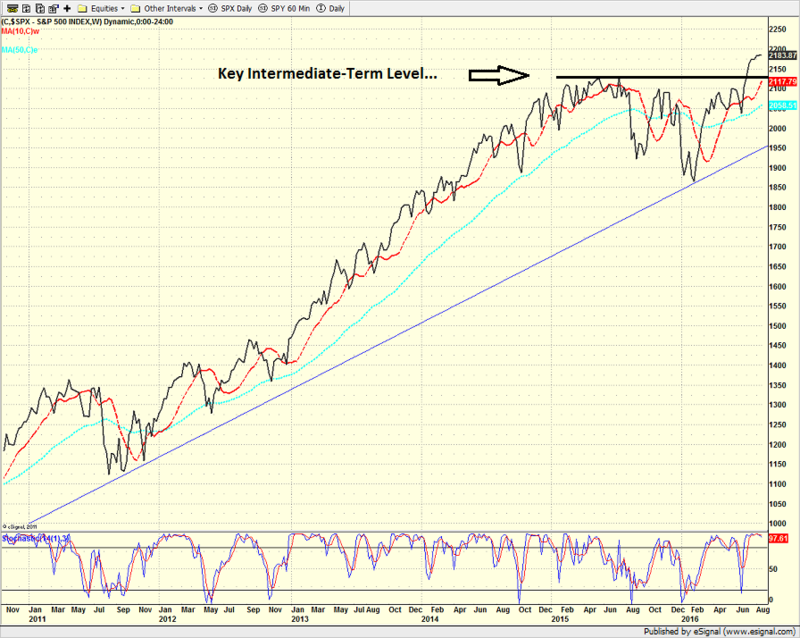 Stocks remain overbought. 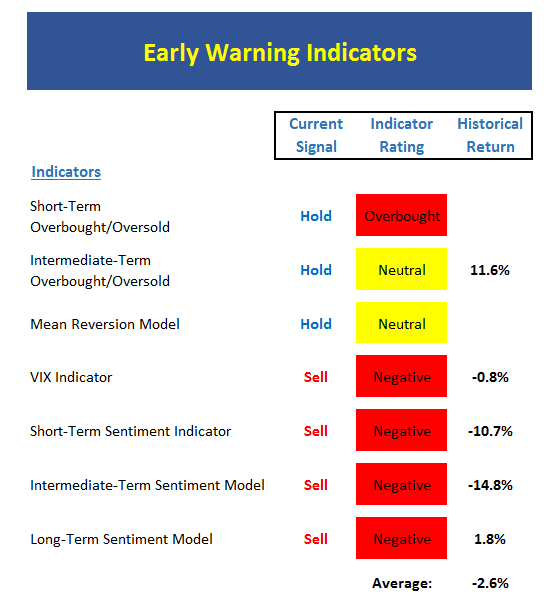 The sentiment models show complacency. The seasonal factors become a headwind until early October. 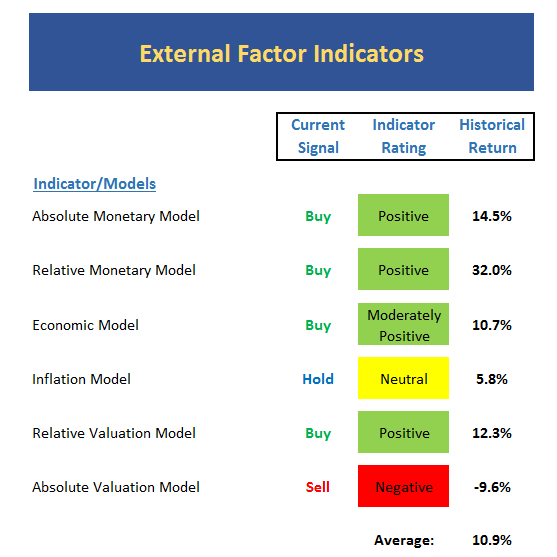 The external factors are positive. 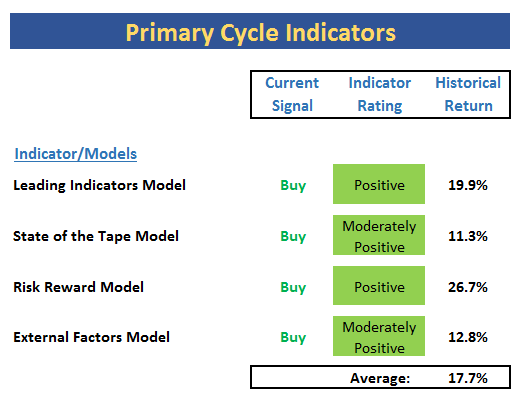 And my favorite "big picture models" are all green. So, this would seem to suggest that (a) a pullback is likely in the near-term, (b) the action could be sloppy for a while, and (c) the "dip" should be bought. Any questions?